Greetings from the Coopers in snowy, frigid Indianapolis (still). We praise God for who He is and what He is doing to make His name great among the nations (including USA)! We are so thankful and excited to be serving Him on His mission to multiply disciples and churches among unreached communities. While waiting for our home in Indiana to sell we have experienced a busy season of training among pastors, business leaders, churches, schools and other organizations. We have observed that non-Christians are open to hearing the gospel and very interested in studying the Bible. We have also observed that many Christians (especially leaders) are desperate to be equipped in a disciple-making process. Praise God!! –Baby Due in September: Yes, that is correct, we have baby #6 coming early September. We are very excited that the Lord is continuing to grow our little family. Among the many blessings of a new baby, this opens many gospel opportunities for Rachel as they want to see the baby. Baby Cooper #6 due in late August/ early September! 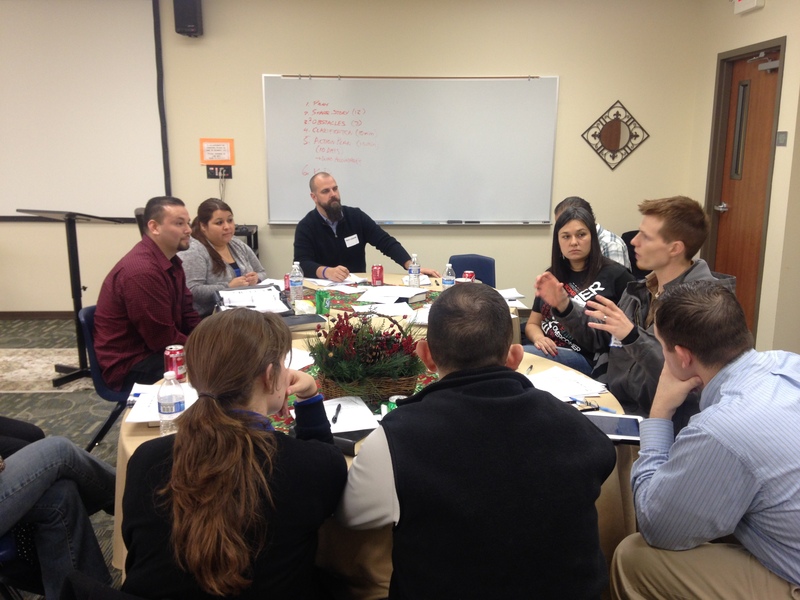 Troy & Rachel facilitated an “Iron-on-Iron” with 6 groups of disciple-making leaders from different parts of Texas (Dallas, Austin, Houston) at the Mid-Level training in Austin, TX (Dec, 2013). 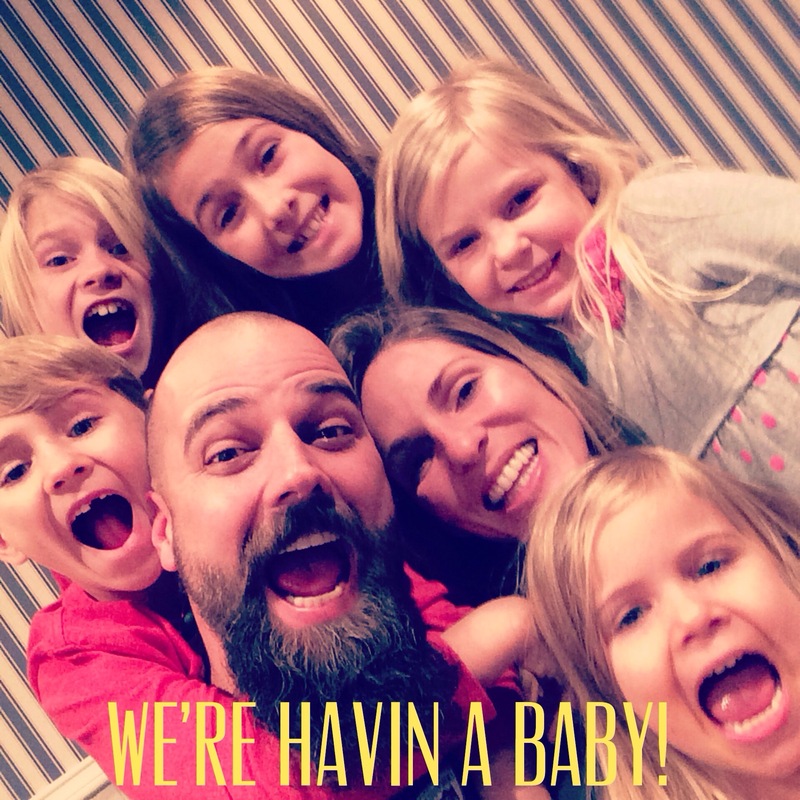 –Family Update: In addition to the baby news (woo hoo!) we have been blessed during this season of transition to have some valuable time with our Indianapolis family members. Mayah, Malachi & Isaiah have enjoyed learning and spending time with their friends at Promise Road Elementary School in Noblesville (this normalcy was good for them). We had a very special Christmas and New Year together including a beautiful candlelight New Year’s Eve Eve service at Onward Church (Malachi prayed for candlelight service & got one). 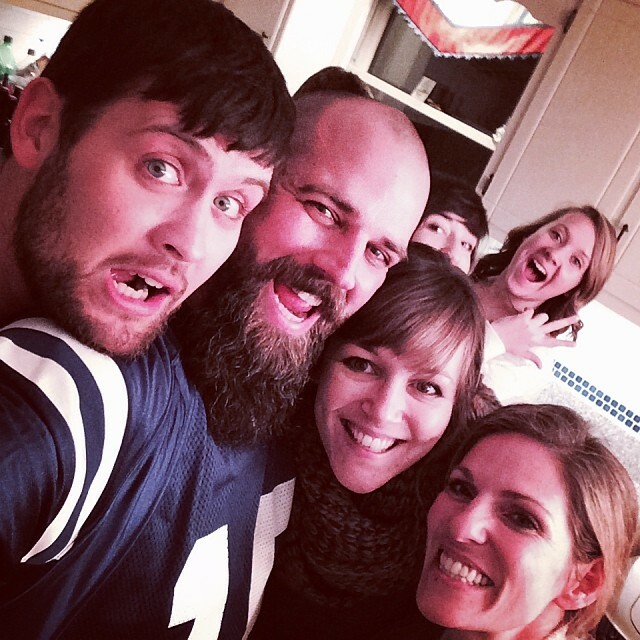 The kids have all become Pacers and Colts fans (an answer to Troy’s prayers) and enjoyed watching games with friends. Thanks to “Pup-Pup” (Steve Cooper), we’ve been able to attend a few Pacers games! Mayah has loved being a “Junior Mints” (5th grade girls) as part of the Onward Youth Group (yes, she is almost in middle school). She also displayed some hidden talents and shocked us all when she sang “Daddy’s Girl” by One Girl Nation at her school talent show (it was a tear jerker). Malachi played a Japanese tune on the melodica. Malachi & Isaiah enjoyed playing soccer last Fall. We love kicking the ball around, shooting baskets and throwing the football (will be nice in warm FL weather). Tessa & Lucy enjoy being at home with Rachel though Tessa is really longing for friends and looks forward to pre-school in Florida. They are both big fans of Doc McStuffins and Sophia the First (Disney cartoons) and love playing with dolls and assembling puzzles. Rachel has continued to work out at the YMCA and pursue time with her friends each week. I (Troy) am continually amazed at how bold she is to share the gospel with others. 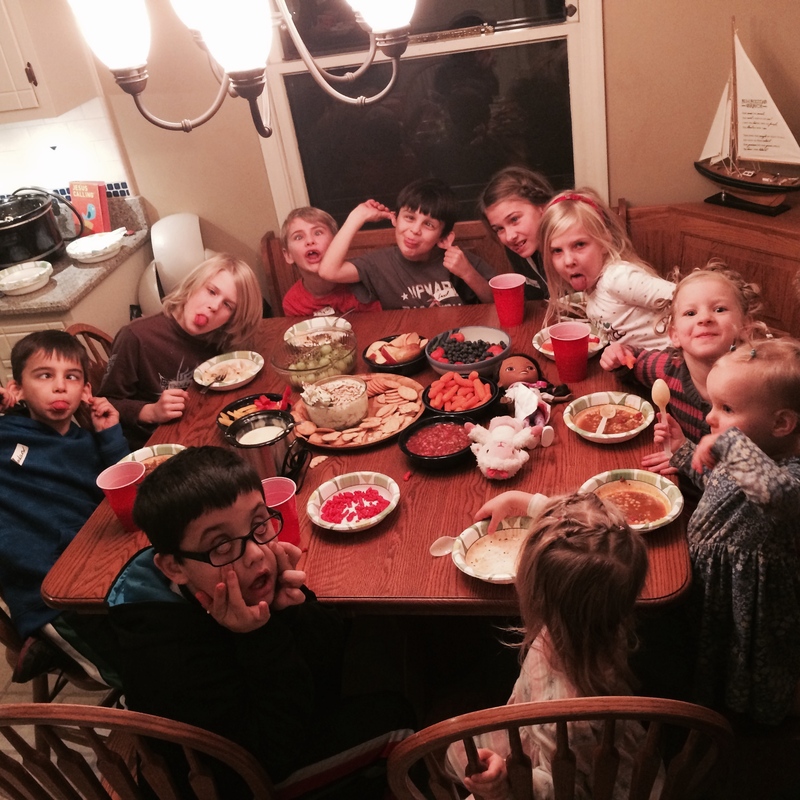 Being a mom of 5 (soon 6) provides plenty of opportunities to share with other moms. I am encouraging her to start a blog (Mommy on Mission) to share her stories. We praise God for healthy kids who are on mission. Mayah, Malachi & Isaiah love to do Bible studies together and regularly share their faith with classmates at school. It is amazing to see God using them in their school! We enjoyed a season of birthdays with Malachi (Nov 23, 9), Tessa (Dec 10, 5) and Isaiah (Dec 14, 7). Troy’s is in a few days (Jan 8, 39). Rachel (Mar 14, 37) and Mayah (May 22, 11) are in the Spring with Lucy (Jul 31, 4) next Summer. We have enjoyed regular family prayer time together. It was prompted by praying for the sale of our home but has been incredible to hear the kids’ hearts displayed in their prayers as they ask God for friends, pray for their new home/school and pray for their new mission field in South Florida. We are continually learning from their child-like faith. We have loved being a part of the Onward Church family and are thankful for the friendship and shepherding of our pastor, Gary Stump. 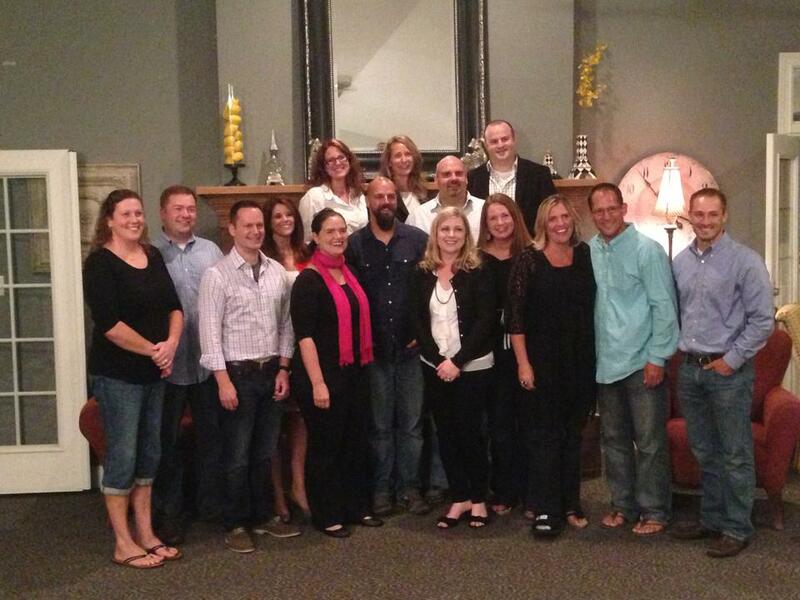 Additionally we have enjoyed deep fellowship with our home “Great Commission” group led by Kim & Chris Rickelman. We praise God for several church families (Harvest North Indy, The Chapel Indy) who have loved us, experienced the training and provided much-needed sharpening fellowship. It gets us excited to join our church family on mission in Stuart, FL! It is amazing to be a part of the body of Christ!! 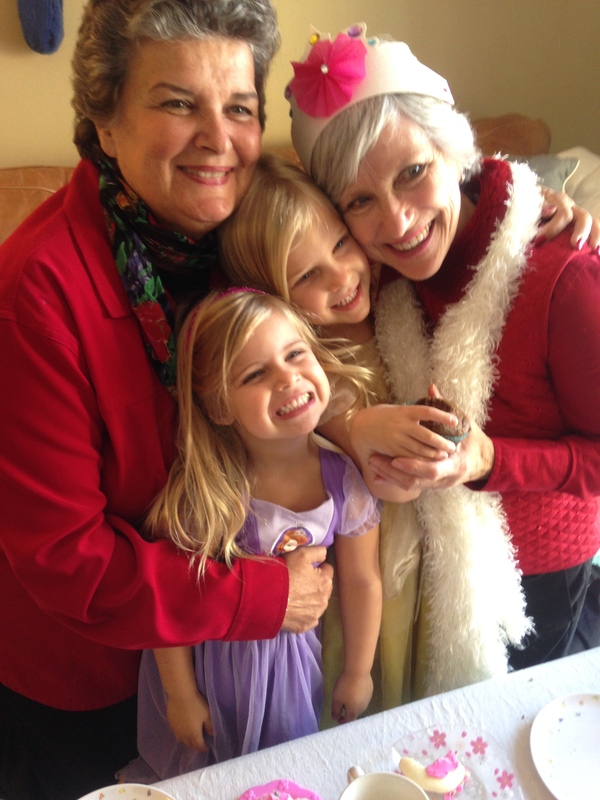 Aunt Amy hosted a Princess Birthday Party for Tessa (Dec 10, 5) and both her grandmas were able to attend! –Ministry Update: We continue to share the gospel among the unreached and are seeing people come to faith in Indianapolis. Additionally we have focused most of our attention on training Christians. 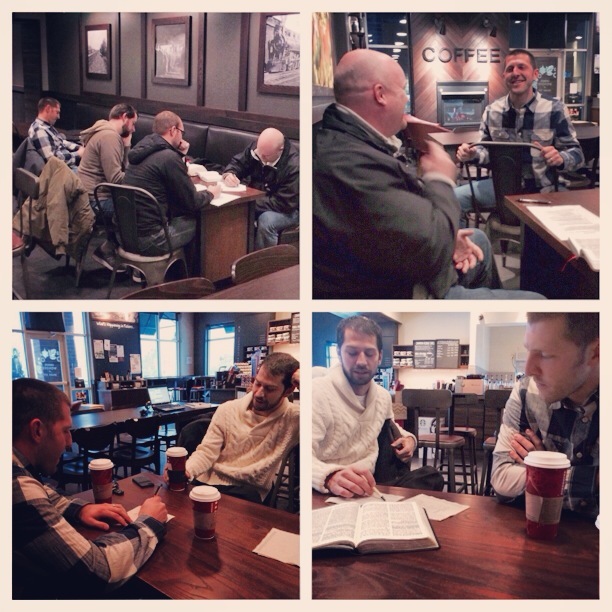 We are seeing pastors and lay leaders respond to the training with rapid obedience to make disciples! Praise God! We are especially encouraged by a group of business leaders who have vision to multiply the training among other business leaders in Indianapolis! We are also encouraged by a group of “Super Spreaders” (people who passionately share the gospel everywhere with everyone) who are getting a vision to multiply disciples using T4T process. 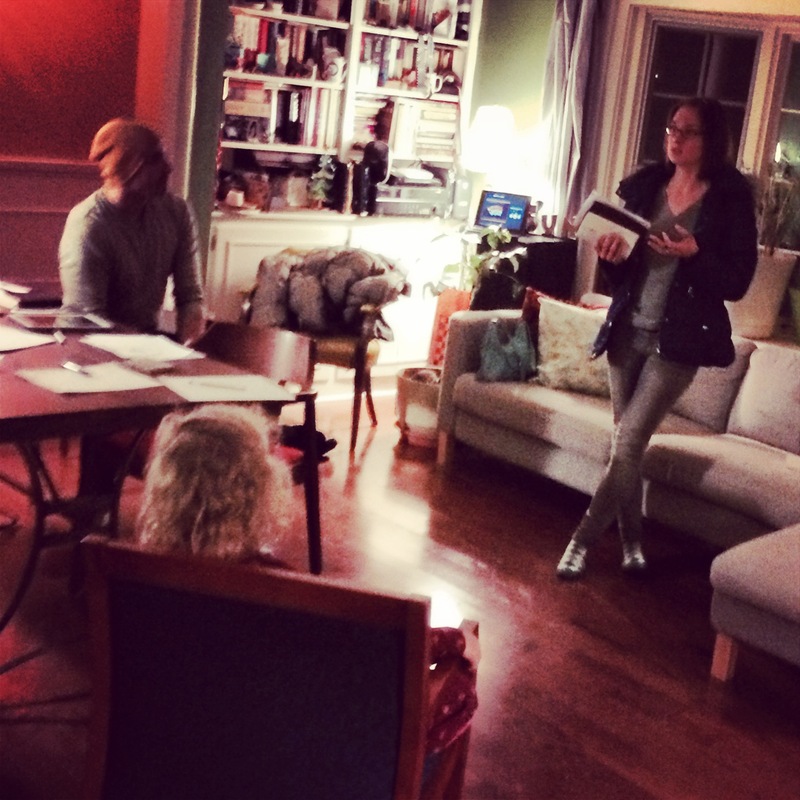 One of our major takeaways from Austin Mid-Level was to lead 2-day Basic Trainings. We are leading one in Indianapolis Jan 10-11 and in Stuart, FL Jan 17-18. Registration is still open for both if you or anyone else is interested in attending. We were also blessed to spend time with two of our three partnering foreign missionary teams: Cervenkas (Tokyo, Japan) and McGaugheys (St Kitts Island) and host a home vision meeting for each of them where they were able to share about their ministry and invite people to support them. Our vision is to lead short-term trips to their locations to train people in disciple-making process, help our missionaries find persons of peace (spiritually interested people who respond to the gospel and them God uses them to reach others in the community) and raise up long-term workers (missionaries). We praise God for the ministry fruit that was yielded in 2013 and cannot wait to join people on mission among 96% unchurched of South Florida!! If you would like Troy and/or Rachel to come speak or train in your community, church or organization, please let us know! 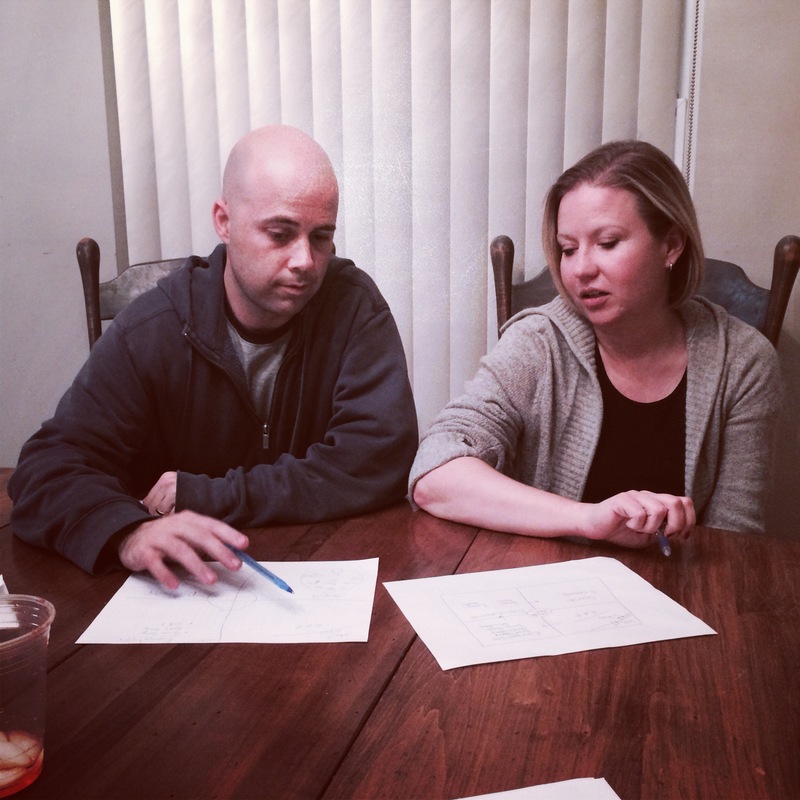 We will be starting up an online training group once we get settled in Florida (early March). Troy trains a group of men on Mondays at 5am. Here they were equipped to share their story (testimony) and God’s story (bridge Gospel presentation). They learned, practiced & then shared with another friends who stopped by! Multiplication!! 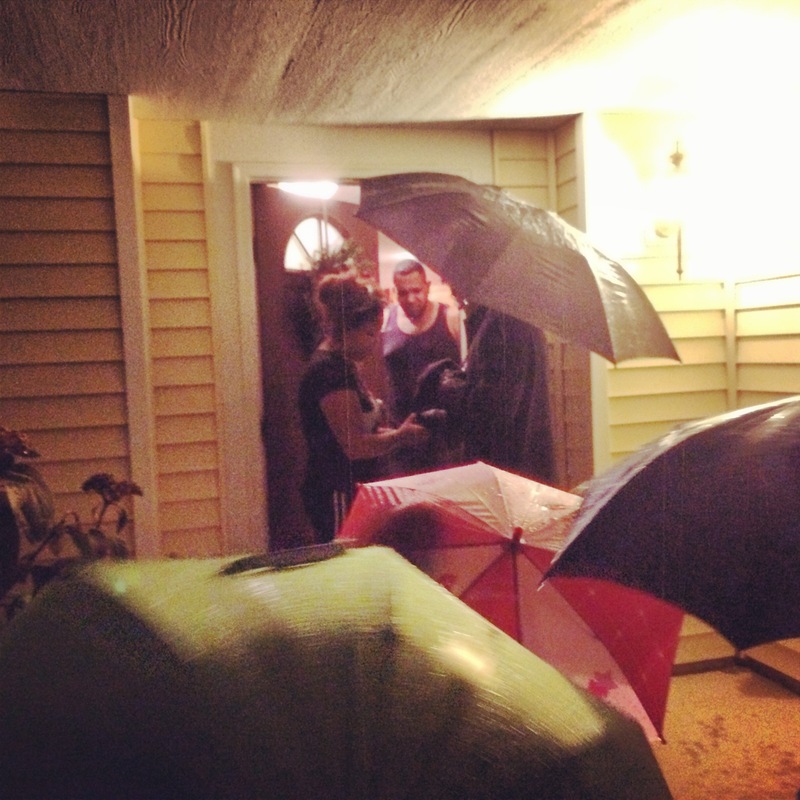 Our family joined the Johnston Family for a Caroling Outreach in their neighborhood. We sang (in the rain), gave them a gift (giant candy cane) and offered to pray for them. The Johnstons will follow up in a couple weeks to see how God answered their prayers and share the gospel with them. The goal is to find homes of peace who respond to the gospel and are used to reach others!! –South Florida Team Members: We are excited that 3 of our team members are already down in Stuart, FL awaiting our arrival. 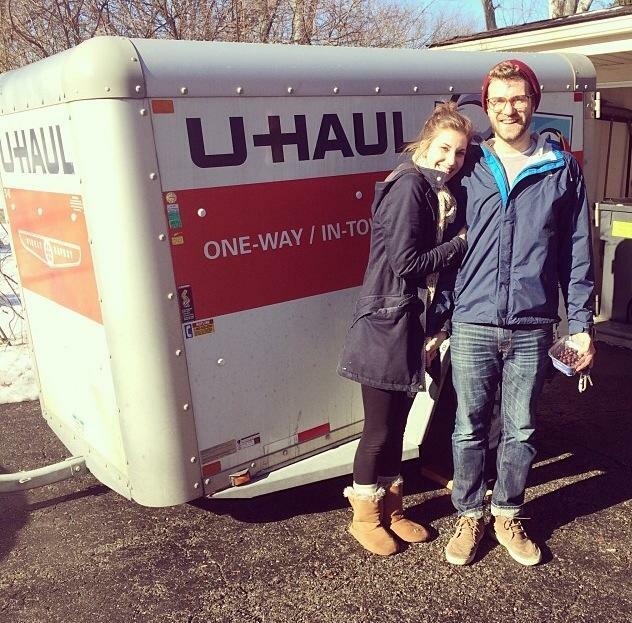 Along with Braden Olsen, Stephen Long + Katie Walser have left their families in Indianapolis and West Chicago to join us on mission among the 96% unchurched in South Florida. 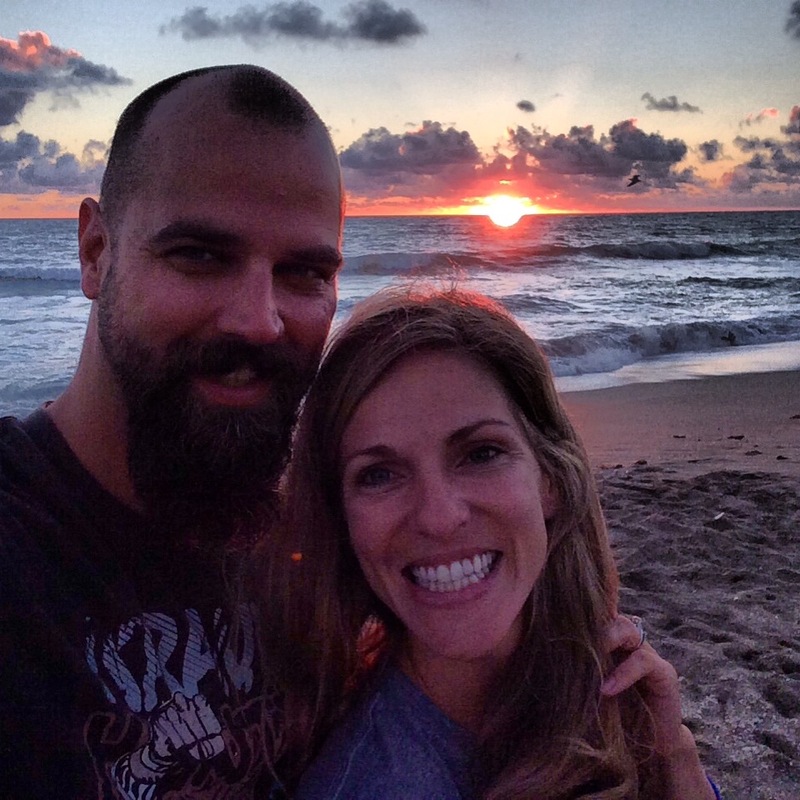 Pray for them as they settle into life, ministry and new jobs in a new setting (Stuart, FL). Click here to read more. Team Members Stephen Long & Katie Walser recently moved to Stuart, FL to join Braden Olsen and others on mission there among 96% unchurched of South Florida! We are excited about the ministry team God is building and thankful for the sacrifices they are making to follow God’s leading. –Southeast Asia Mission Trip (Feb 1-11, 2014) We are excited to join a team from Harvest Bible Chapel North Indy on a short term mission trip to 2 unreached countries in SE Asia February 1-11. 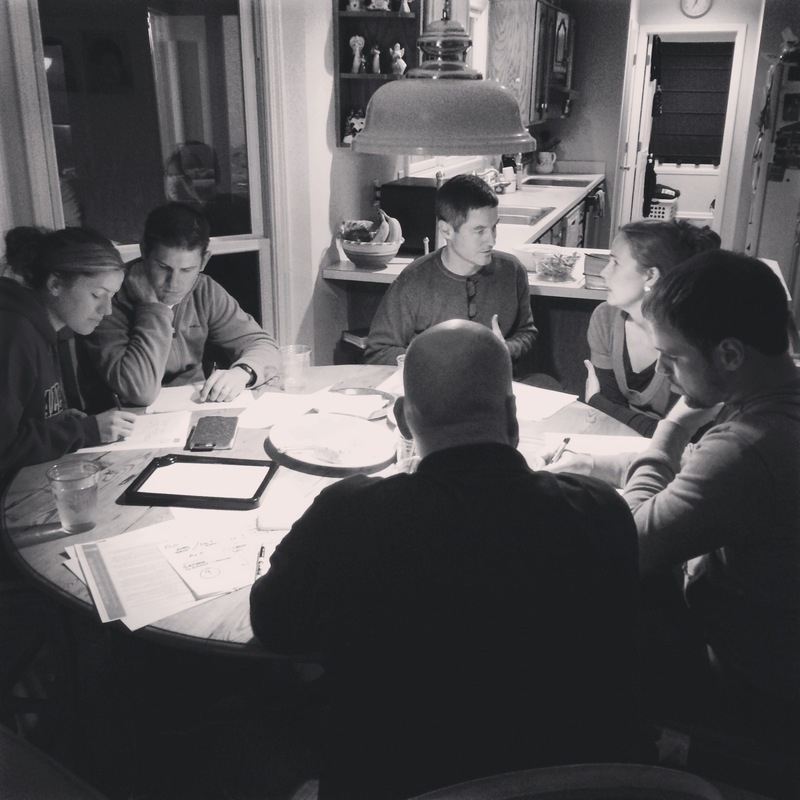 We have helped equip the team in disciple-making process (T4T). Additionally, the missionaries we are serving with in SE Asia (unnamed for security purposes) are our long-time mentors whom we have a long-term partnership with to raise up long-term workers for. Their vision is to see 200,000 new disciples among the unreached in 20 years. We are still raising prayer and financial support for this trip. Click here for more details. 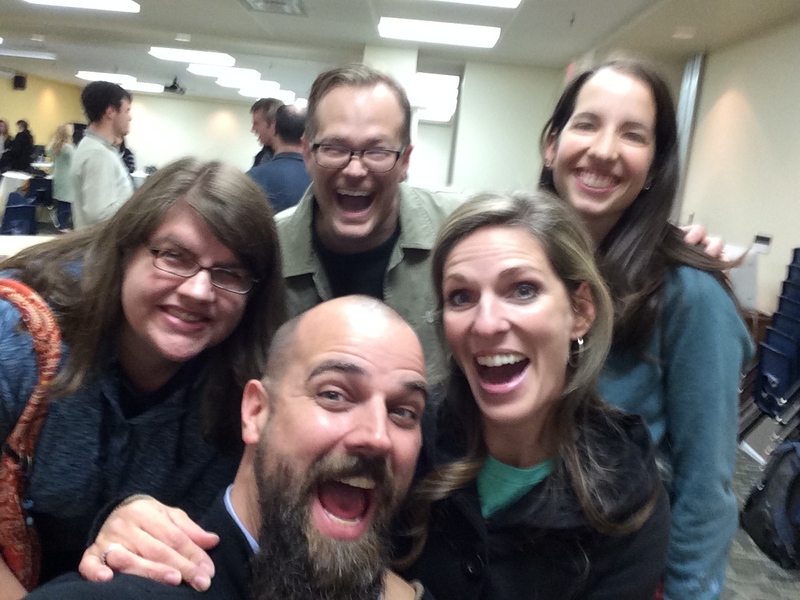 Troy equips the Southeast Asia Mission team in T4T disciple-making process. We will be joining them Feb 1-11, 2014 on a short-term trip in 2 unreached countries in SE Asia. 3. Promote: tell other Christians about our ministry and see if they are interested in partnering with us. We would be happy to meet and share our vision. 4. Provide: monthly support is the most critical financial need (though we are thankful for and appreciate special gifts). Click Here to submit financial support. We are very thankful for the support God has provided through many individuals, families and organizations. As you look ahead to 2014, which ways would you like to continue or expand your partnership with us? If you are already supporting us through prayer and/or finances, can you think of some other people who would be interested in partnering with us? We are thankful to the Lord for you and appreciate your sacrifice for the Kingdom on our behalf. We are moving to Stuart, FL the week of Feb 17! –We are moving to Florida February 17: After 5 months of laboring in the Midwest while we await the sale of our home, we are nailing a stake in the ground with plans to move to Stuart, FL the week of February 17. We have sought wise counsel from our leadership and they unanimously agree this is a wise decision to make the move and join people on mission among the 96% unchurched of South Florida even though our home has not yet sold. There are a number of reasons including: Rachel’s pregnancy (its time to go), our team members are already there, our partnering church has patiently waited 5 months (they are hungry). We will seek rental options while we wait on our home in Noblesville to sell and are trusting the Lord to provide our needs. We will keep you posted on any plans for packing, loading, etc as well as any farewell gatherings. 2013 was an incredible year of God’s faithfulness!! We cannot wait to see what He does for His glory in 2014 and beyond! Thank you, thank you, thank you for your faithful love, encouragement, support and prayers. We praise God for your friendship and thank Him for your continued partnership! We used the kids’ 2-week Fall Break to spend time in Stuart, FL connecting, training and praying for our new mission field. Picture taken during sunrise at Stuart Beach. 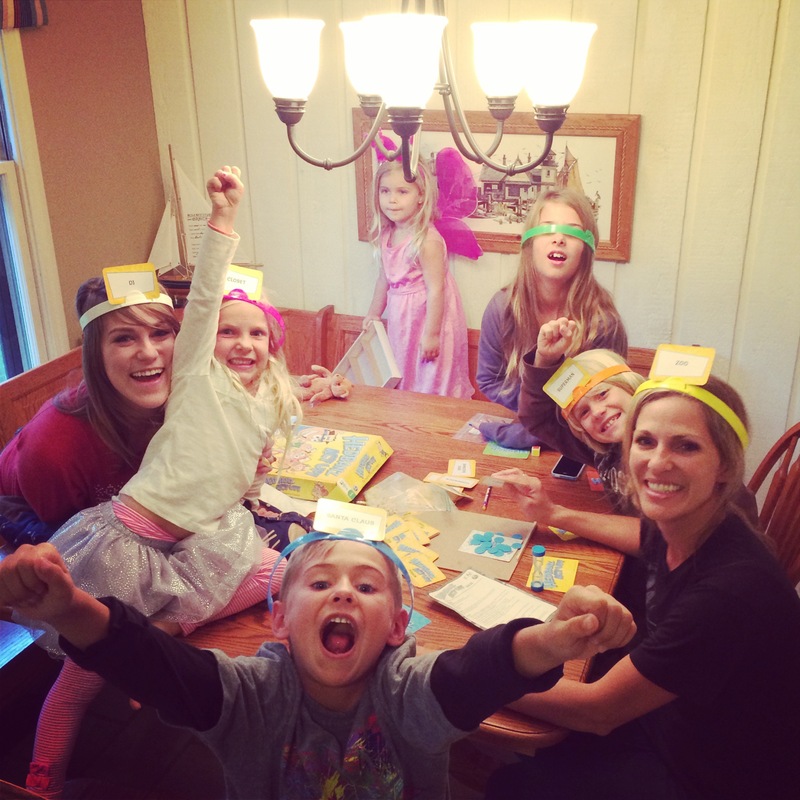 The kids love playing games together! They also love time with Aunt Amy (Snyder)!! Our dear friends (and Great Commission home group leaders) Chris & Kim Rickelman practice sharing the “4 Fields” diagram which illustrates T4T disciple-making process. They have vision to reach the community of Lawrence, IN with the gospel through multiplying disciples and churches using T4T Process! 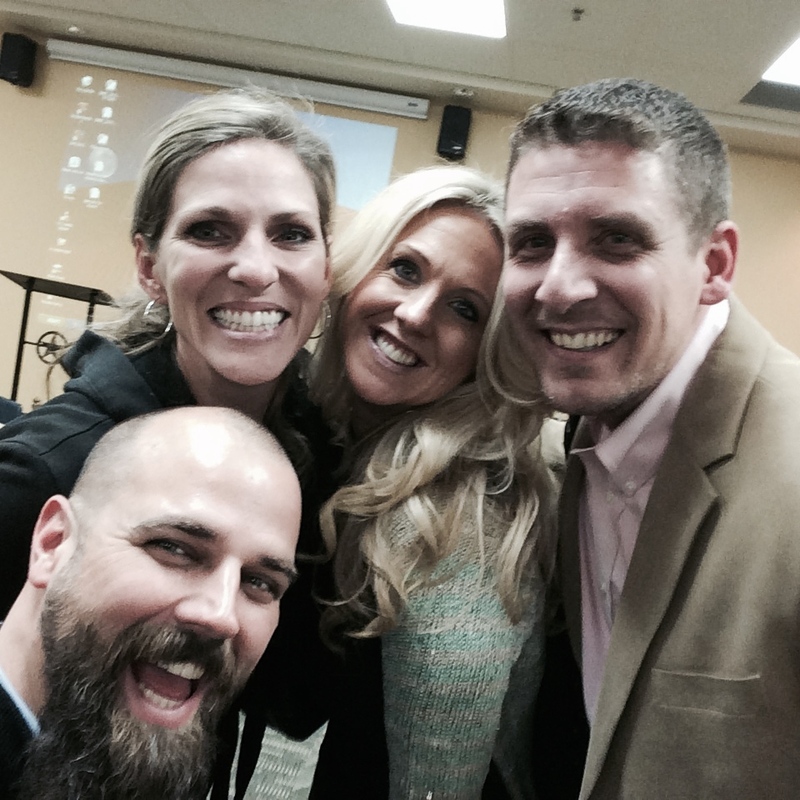 Troy helped train a group of student leaders at Horizon Christian School (Indianapolis). They are being equipped to make disciples by missionary/trainer Jordan McGaughey (St Kitts) before they leave at the end of January. They are writing out their “name list” of Christians they’ll train and non-Christians they’ll pray for and share the gospel with. 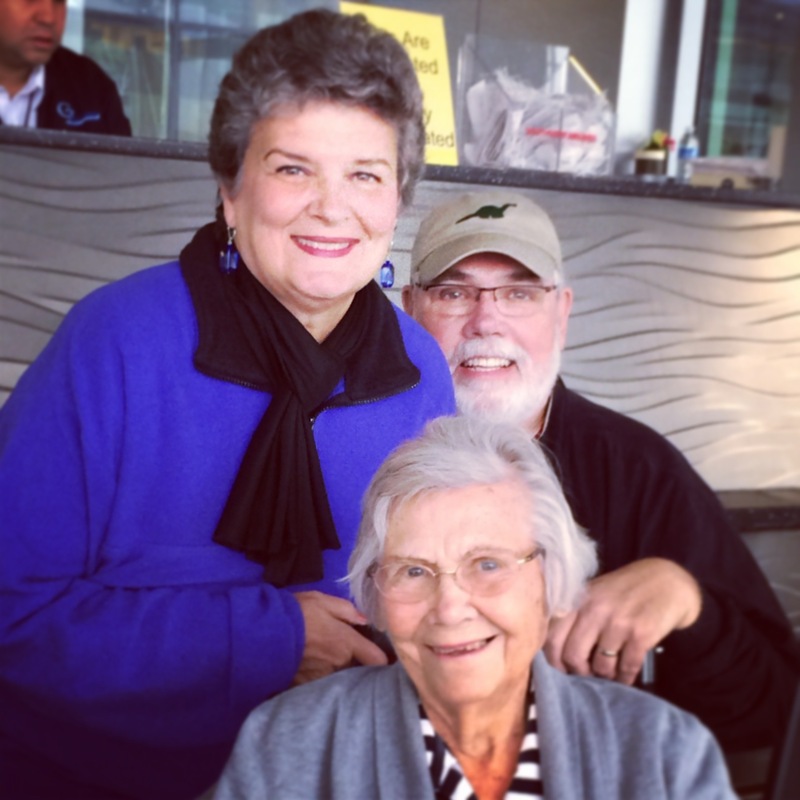 We have been so blessed to spend time with Troy’s parents and his (almost, Jan 14) 97-year-old grandma (aka “GrammaTron”) during our bonus time in Indy. Troy was so encouraged to reconnect with long-time friends at his 20-year HS reunion! The kids love spending time with their Indianapolis friends!! We praise God for ministry family like the Campbells & Kais (Austin, TX). We love them and learn so much from them! 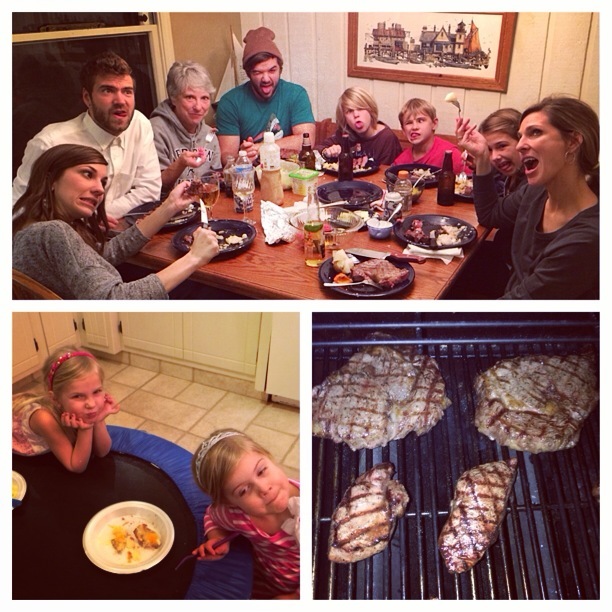 We enjoyed a special family steak night before Stephen & Katie left for Stuart, FL on Dec 30! 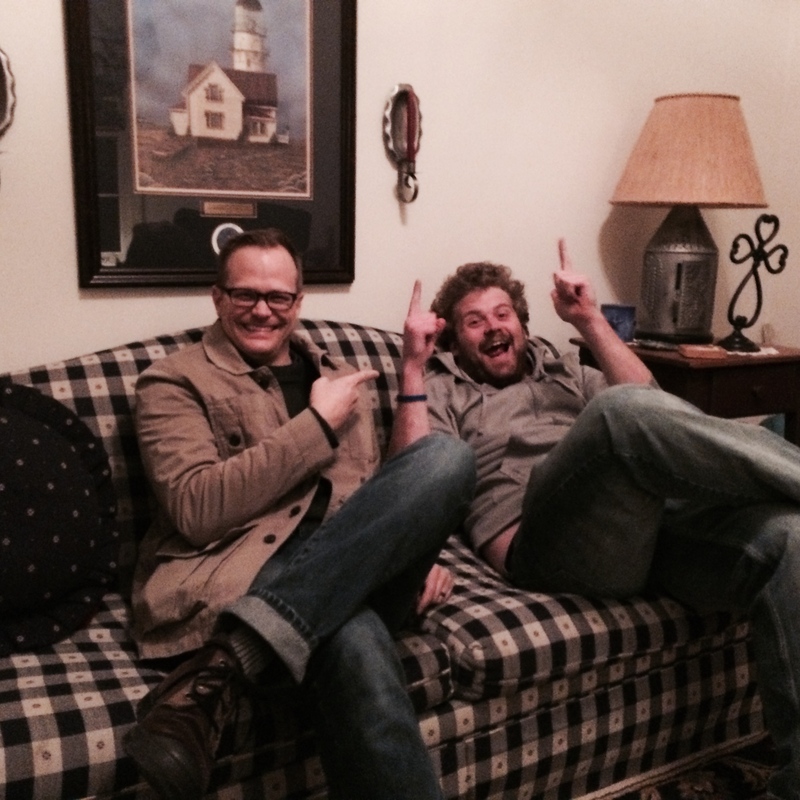 We have enjoyed learning boldness in evangelism from “super spreader” Austin Rogers (R). Pictured here with David Cervenka after they shared the gospel at WalMart and led a man to faith! We praise God for the fellowship & ministry mobilization we receive every week at our home “Great Commission” group led by Kim & Chris Rickelman. 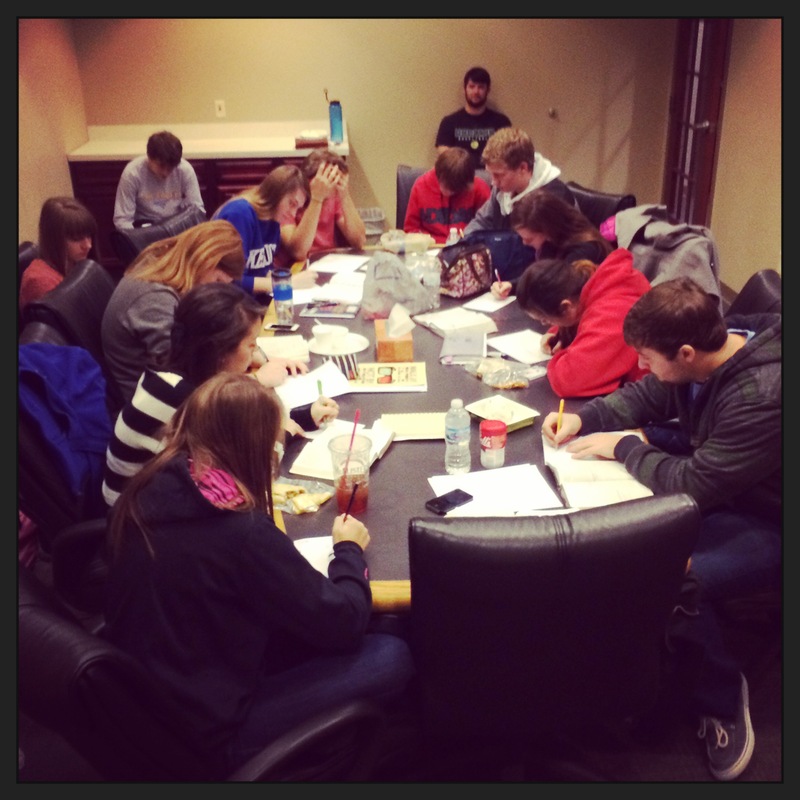 They have vision to reach the city of Lawrence with the gospel through multiplying disciples! 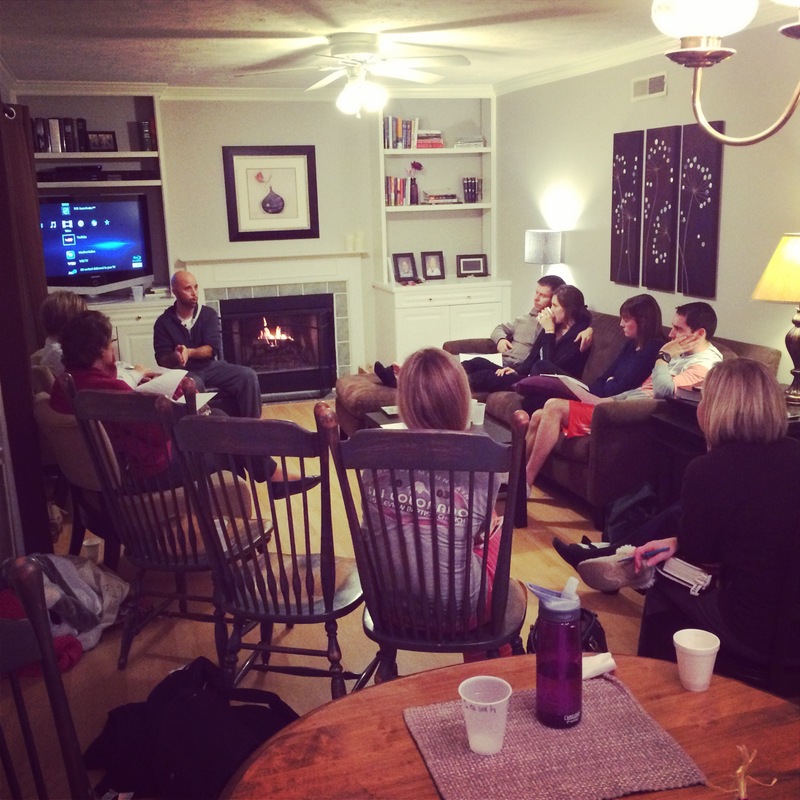 Home Training: Troy got to train a small group from College Park Church hosted by Jason & Krista Cobb. Here they are practicing a “Story of Hope” from Luke 7:36-50 in preparations to share with lost people. 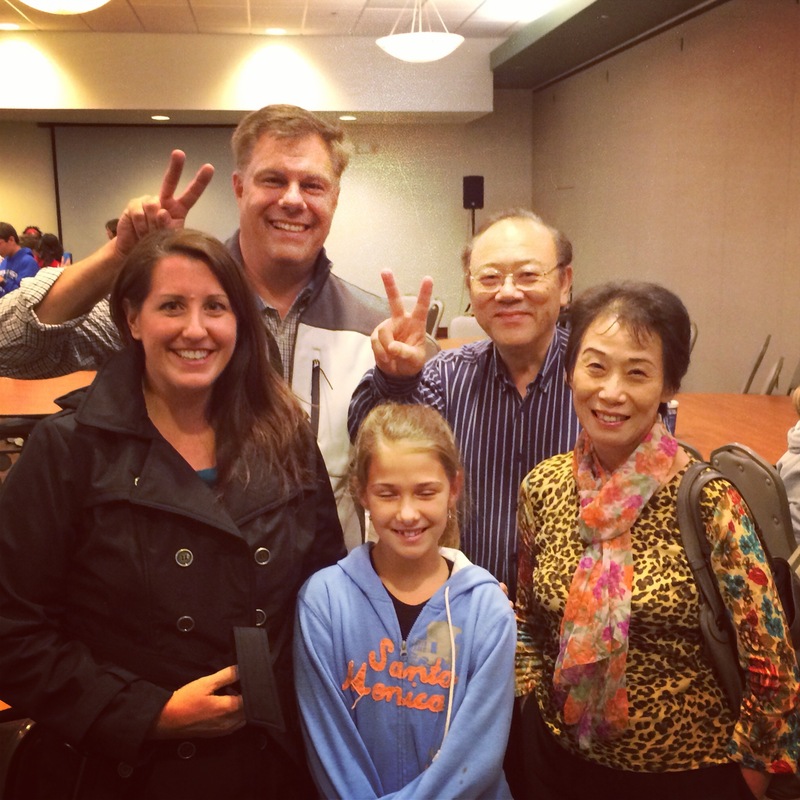 We hosted a home vision meeting for our partnering missionary David Cervenka (Tokyo, Japan). He shared his story/vision and we prayed for them! We enjoyed a special Candlelight Christmas Eve Eve Service with our Onward Church Family at Conner Prairie. 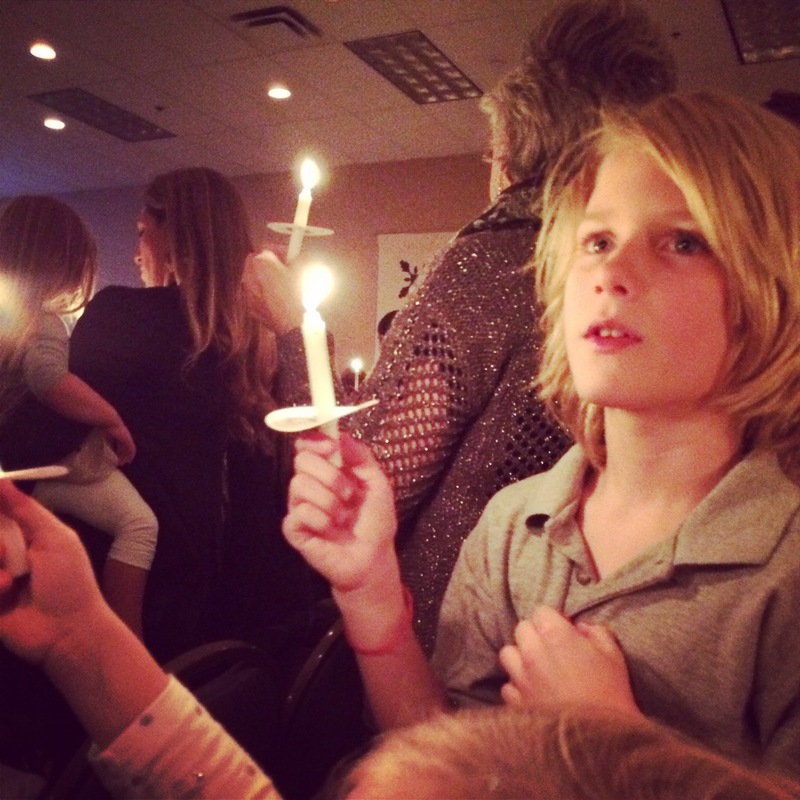 Malachi prayed for a candlelight service and got one. 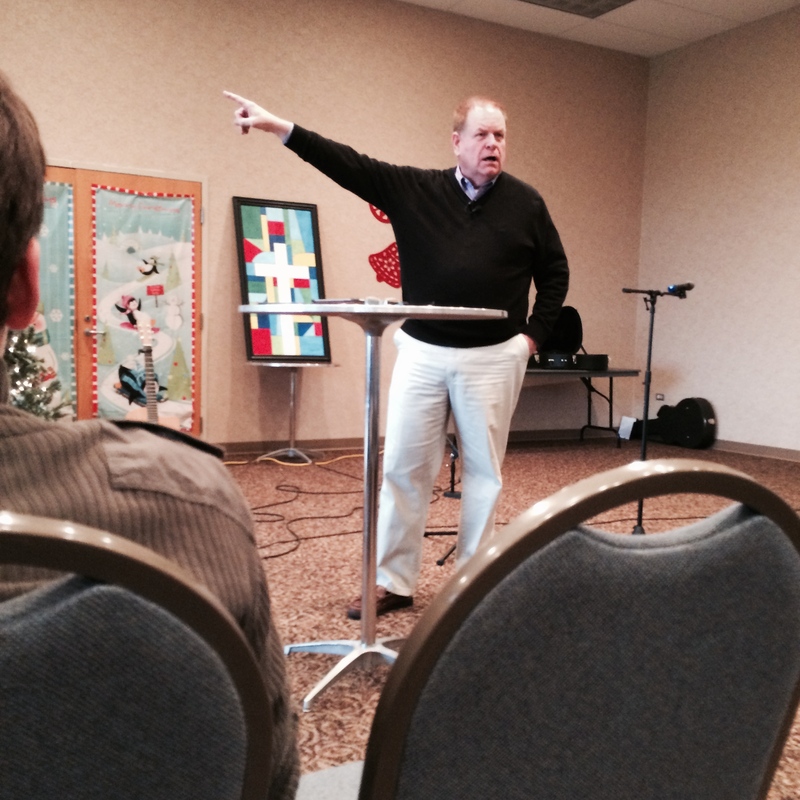 We praise God for the leadership and shepherding of our pastor, Gary Stump of Onward Church. God is using him to ignite a movement of multiplying disciples and churches in NE Indianapolis! Onward Church is serving as our sending home church. 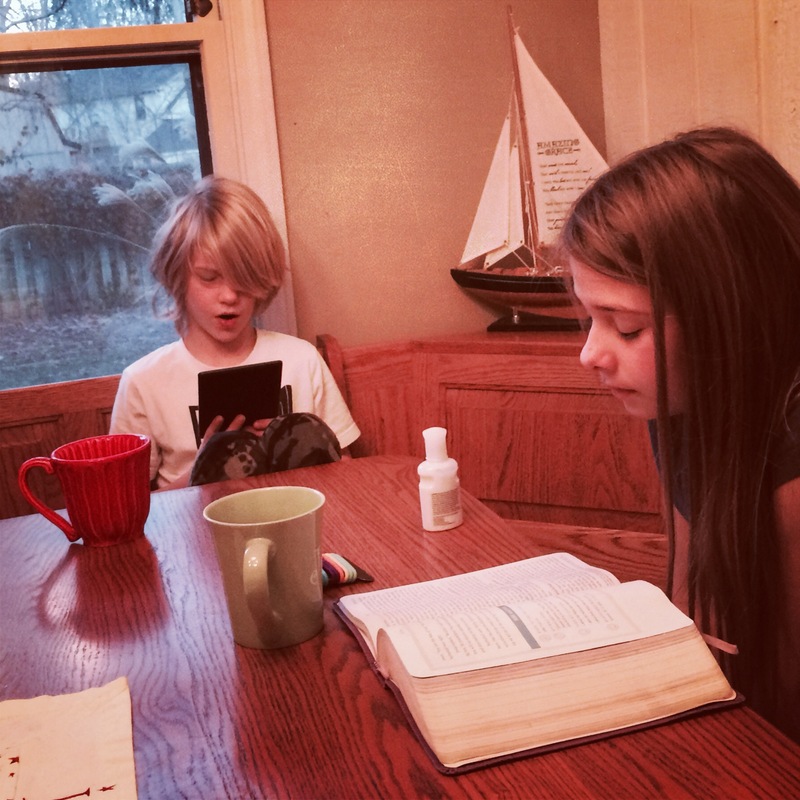 Mayah & Malachi enjoy studying the Bible together using “Three Thirds” format (T4T). 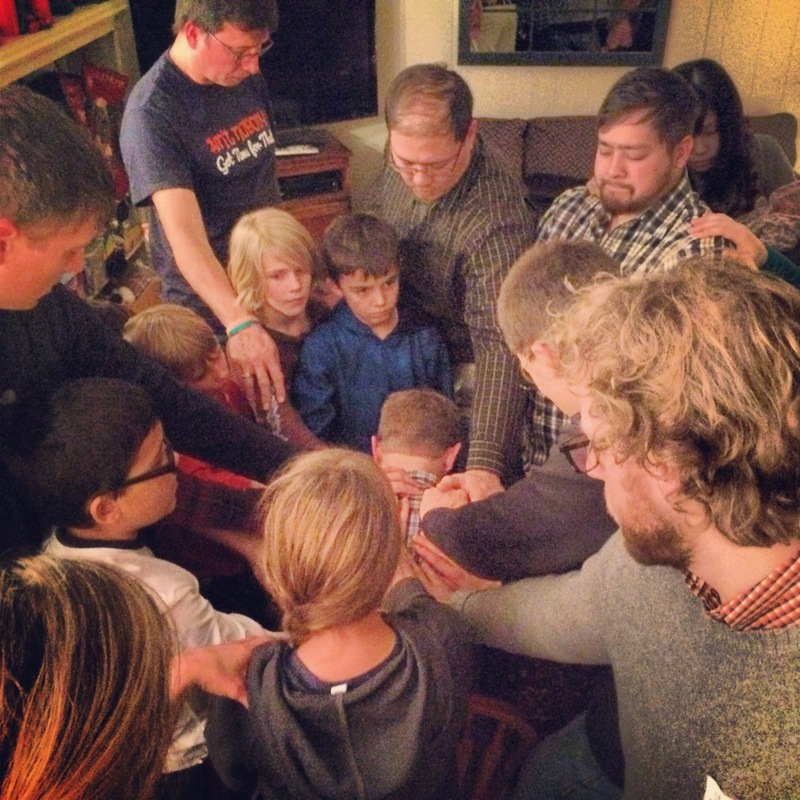 We love including our kids in ministry and seeing God use them mightily among their friends! We were blessed to meet sharpening friends like these bros at the Mid-Level Training event in Austin, TX. 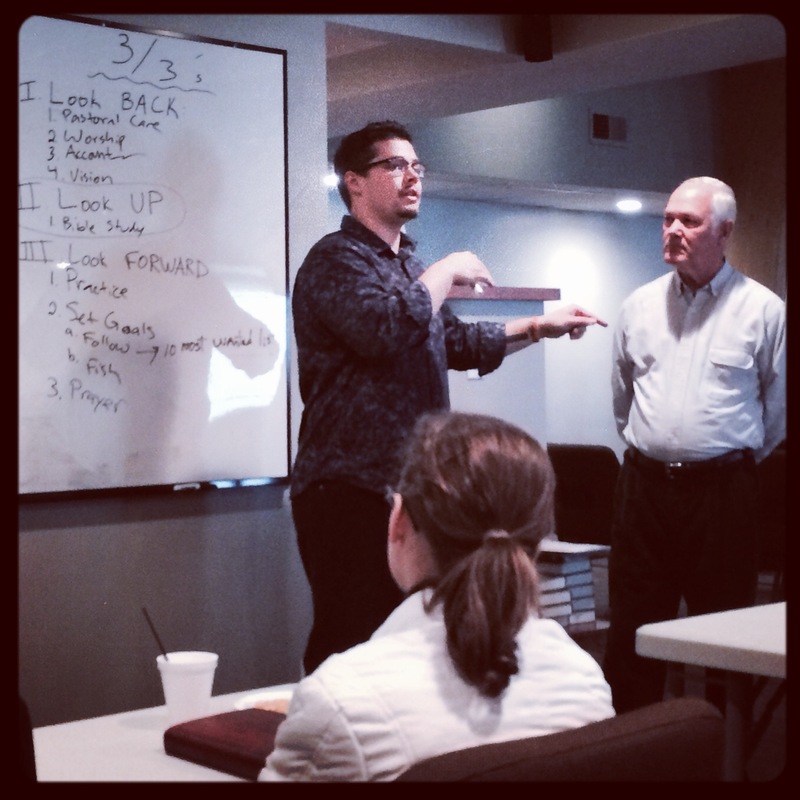 Taylor Bradbury (L) and Tom Conner are leading T4T training during a Sunday School class at The Chapel Indy. 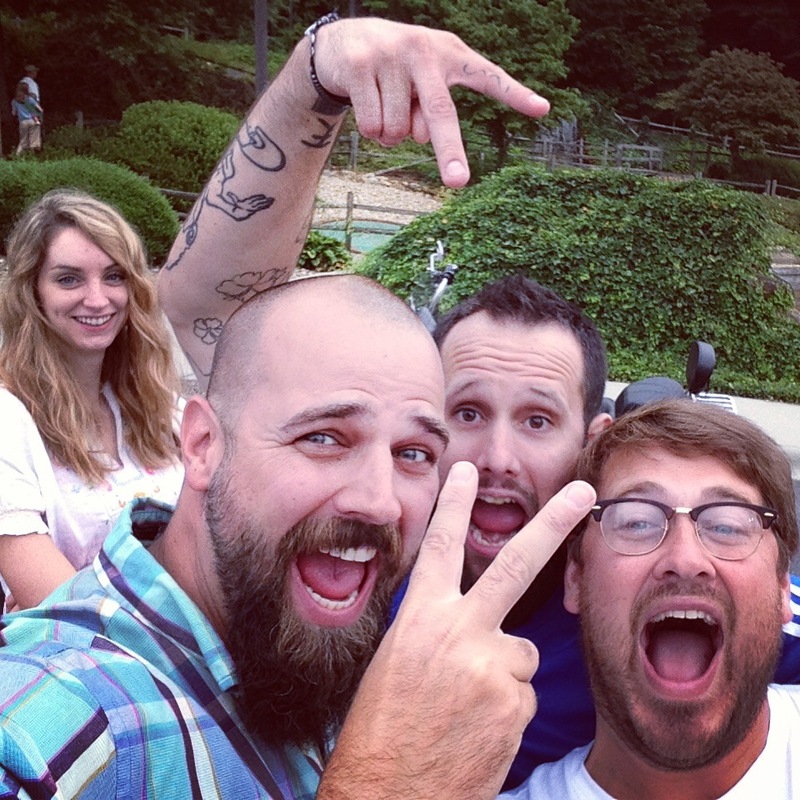 They are seeing participants make disciples! Ed Watson (Onward Church) equipped them during Fall training. 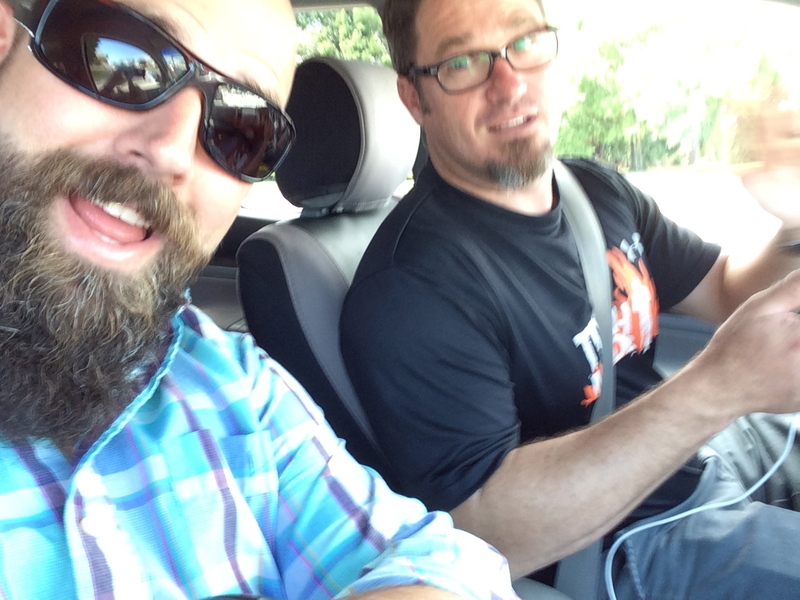 During Fall visit to Stuart Troy enjoyed time with our pastor, Matt Price. We are thankful for the church family at Covenant Fellowship and are excited by the vision to reach the community! We praise God for ministry family like David Kaufman (R, Nashville, TN) an Ray Vaughn (Charleston, SC) who are multiplying disciples and churches in their cities! 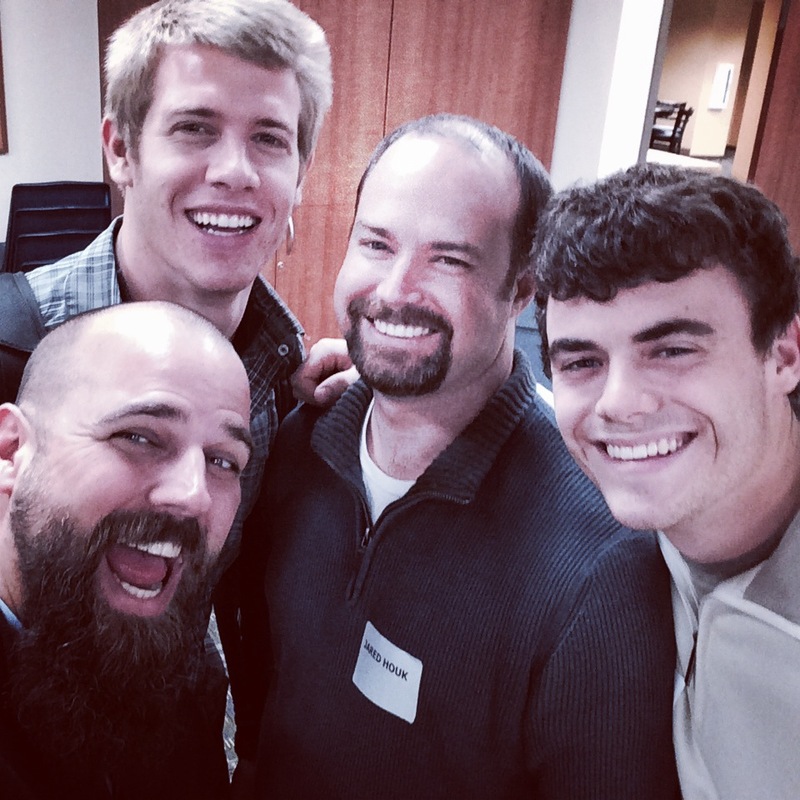 Troy led T4T training at a “Disiciple Now” weekend retreat for Northside Baptist Church in Indianapolis (November). 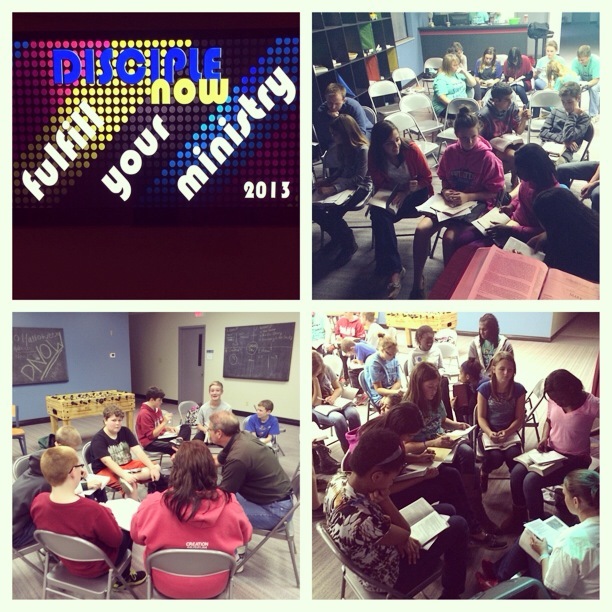 We are encouraged to hear updates of students making disciples in their schools! JUIO Network has Vision to Multiply 2020 Churches in US by 2020!! Congratulations on the new addition! Looking forward to seeing ya in Indy!! We love you guys and are so grateful we have had the extra little bit of time with you before your move to Florida!! So happy for you…in my prayers…I love you!! What a beautiful Birthday present for you Troy Stephen…my Nephew…a beautiful baby…great news!